Hi, Thanks for this amazing manhua. 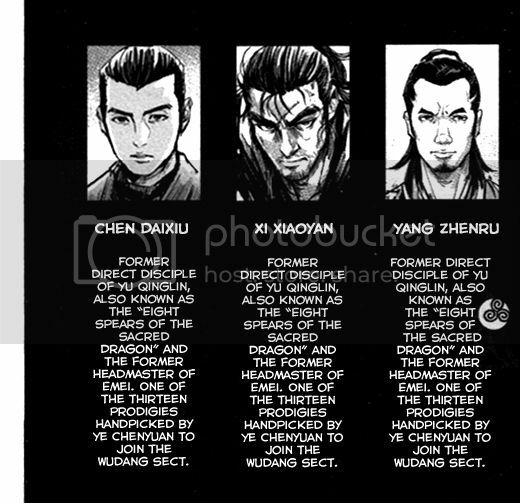 I think there is a mistake in the "characters" page 004-005 of volume 12 chapter 61. Glad to see this series is still going well! I read this when you guys first released it a long time ago, so I had to reread it to refresh my memory of what's gone before. If you guys need a temporary proof-reader or even translator, feel free to contact me, as I want to support fan translations. Hi, I see that this hasn't been updated in more than a year. Volumes 14 and 15 are out, and according to this blog (+Google translate), volume 16 is on the way. Is there any way I can help restart this project through donations, raw purchases, etc? The problem with this project is that it is missing a Chinese translator. Haha, I like it enough that I'm seriously considering hiring a freelance translator to get you guys the script for the latest two volumes. Of course, I'd much rather just donate to your group instead if one of your current stable of Chinese translators could be convinced to swing by.